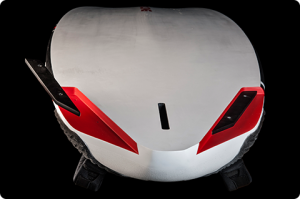 The design mandate here was to create a high-wind slalom board that behaved with more stability in the often difficult gybing manoeuvres associated with strong winds, coupled with increased overall stability and speed to enhance the racing experience on the water. What else to say here other than the master of this board was an absolute flier. clearly beating everything in its path. Explosive acceleration in the gusts with a top speed potential never felt before. Super easy on all points of sail with superb glide through lulls and effortless control ultra jacked. Tighter radius gybes and better gybe exits to stay ahead of the pack. • All-new compact shape for increased control overpowered, earlier planing, better glide and increased acceleration away from the gybes. 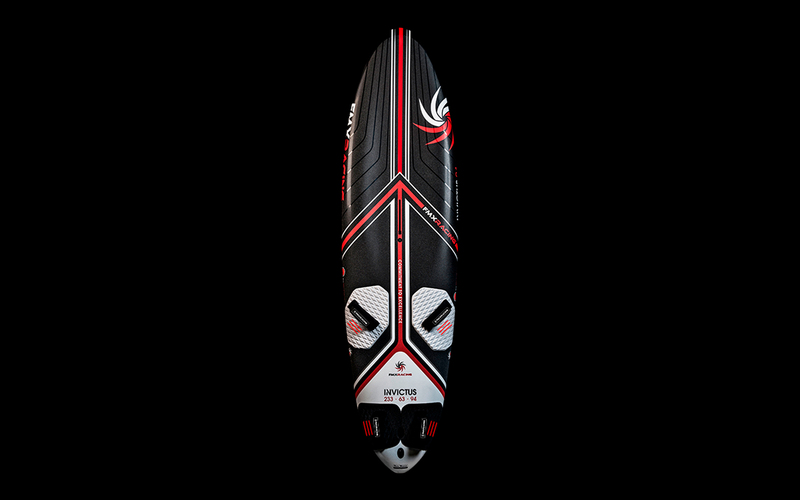 • Refined all-new scoop-rocker line for easier handling, explosive acceleration and top-speed in both flat water and choppy conditions. 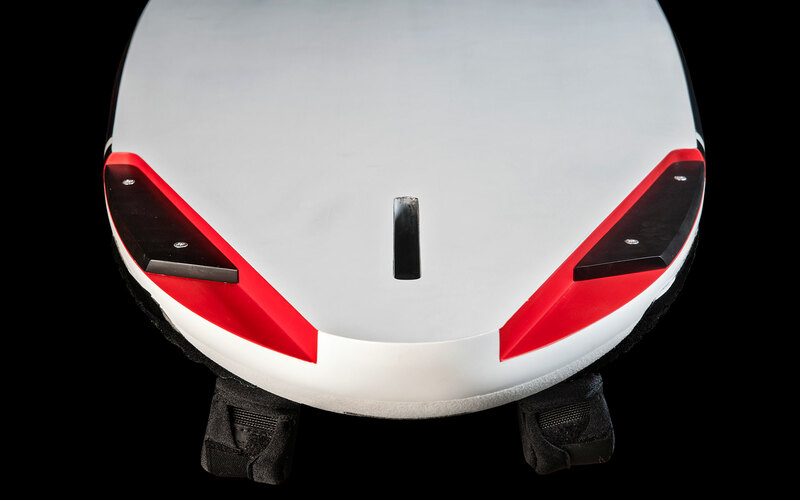 • Deep deck concave – Increases downforce and nose trim stability at high speed and lift/fin drive at low speed. • Reverse Vee bottom shape – Generous vee and double concave configuration in the nose to clear the chop and create a smooth ride, transitioning to less vee and dc in the tail for reduced drag in the wetted surface area for ultra high speed bursts and acceleration. • ‘V3 Vector Cuts’ – All-new adjustable straight line cutout design that facilitates clean and effortless water release. Removable plates – The next level in terms of performance and range. • RTS – Range Trim System – 100% carbon/high-density pvc core removable cutout plates – Significantly increases the range by 20% of all slalom and speed models – Plates in results in ultra early planing and increased control of the nose trim in overpowered conditions – Plates out and feel the instant burst of acceleration and top speed in the normal wind ranges. 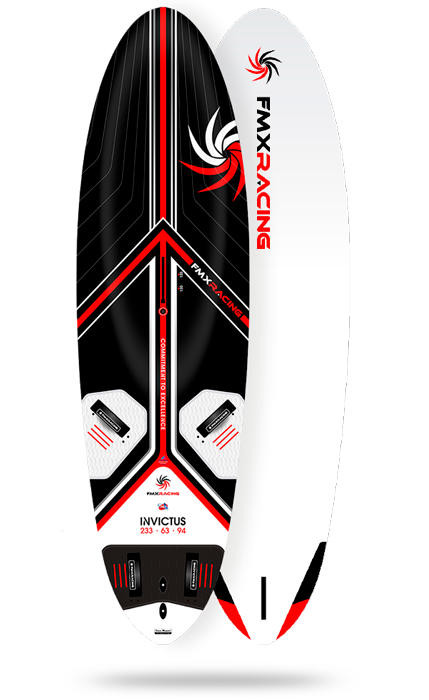 • The deck layup is with 45 degree biax carbon for a slightly more forgiving feel than the 114 and 144, although the stiffness is still excellent to maintain the direct feeling and glide on the fin for those sessions in less than ideal conditions. • Short Tuttle Strong Box – Double the carbon content, double the wall strength and stiffness, and built with a 100% high-density PVC sandwich body. 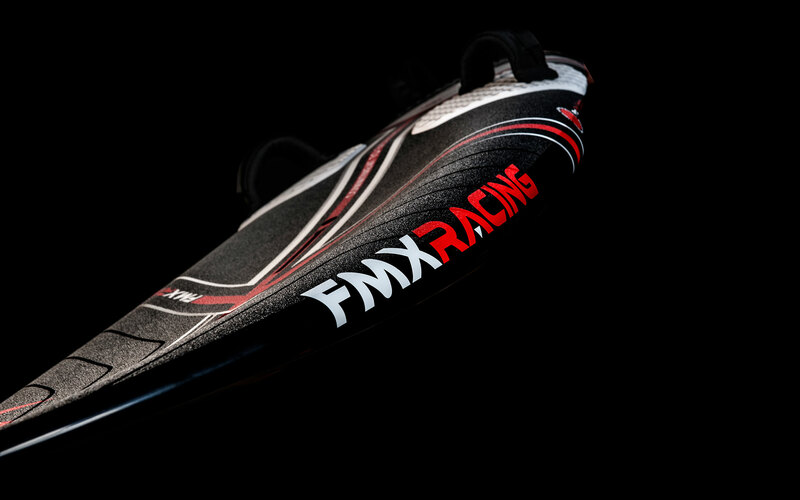 The result – fins stay tight and the box holds the direct feeling performance even after prolonged use. If you want to be the fastest cat in your area then this is the board for you. Superior sail range possibilities from 5.2-7.0, even the 7.8 fits when used in flatter water, all made possible by the RTS cutout system. 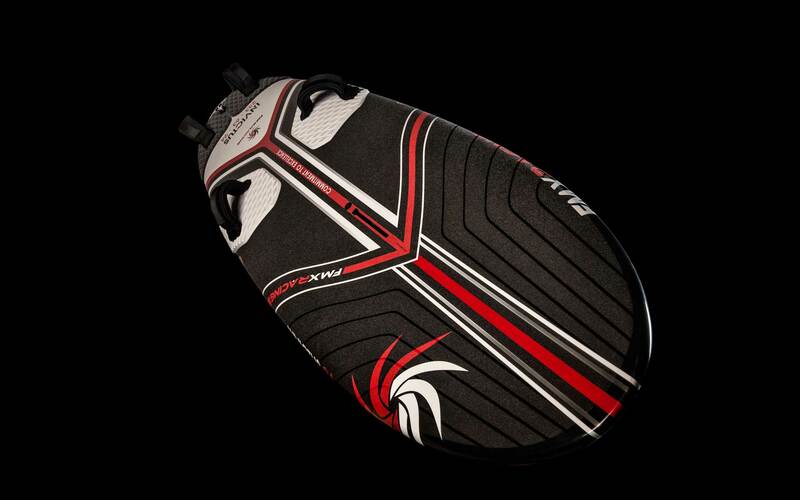 The Invictus 94 is the ultimate high-wind slalom weapon of choice!